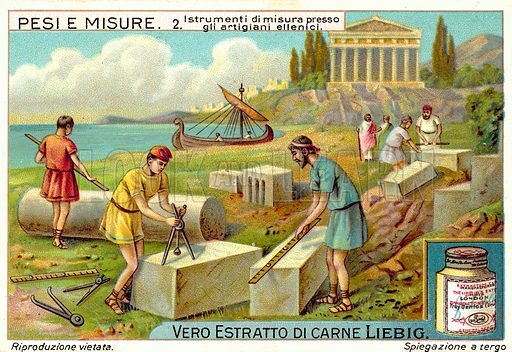 Ancient Greek stonemasons using measuring instruments. Liebig card, published in late 19th or early 20th century. From a series on weights and measures. Available worldwide for immediate download up to 4,828 x 3,314 pixels.